foodpanda gives out the biggest discounts on food you love this September! 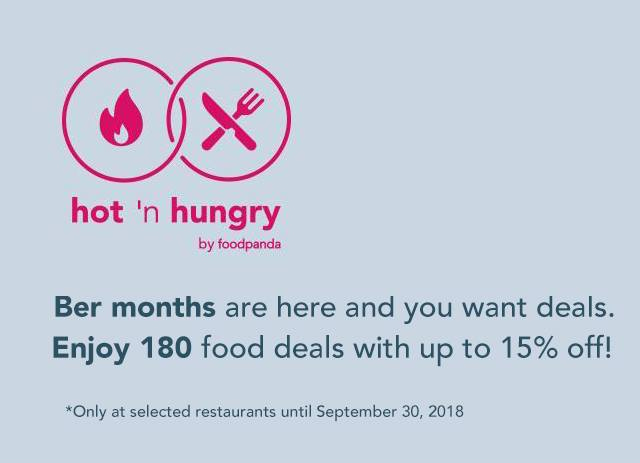 I’m all about saving money in any way so I got excited when I learned that with foodpanda’s 3rd Hot ‘n Hungry! promo (September 1-30), food delivery in Cebu just got more affordable! This is actually perfect because Christmas in the country starts as soon as the BER months arrive! Early preparations for the holiday season have started (Hello, Jose Mari Chan! ), as well as the gatherings among families and friends! As we all know, every celebration starts with good food, especially Christmas; foodpanda, the on-demand food delivery platform has announced the third run of its biggest food sale event: Hot ‘n Hungry – to help make each gathering a memorable one with amazing food deals!